Undisputed middleweight champion Gennady Golovkin 38-0-1 (34) equalled middleweight legend Bernard Hopkins’ record of twenty 160-pound world title defences with his two round demolition of late replacement Vanes Martirosyan 36-4-1 (21) at the StubHub Center in Carson, California on Saturday night. Career junior middleweight Martirosyan stepped in to replace Saul “Canelo” Alvarez after the popular Mexican twice failed drug tests conducted in February. The 36-year-old Kazakh bomber’s trainer Abel Sanchez spoke about equalling Hopkins’ record title defences at the post-fight press conference. Only two opponents – Alvarez and Daniel Jacobs – have heard the final bell against Golovkin in a world title fight. “For Golovkin to tie this record, we thought it would never be broken,” Golovkin’s promoter Tom Loeffler said. Alvarez was banned from boxing for six months by the Nevada State Athletic Commission (NSAC) at a hearing last month to discuss his positive drug test. The 27-year-old’s promoter Oscar De La Hoya has already flagged plans to reschedule the rematch in September. Whether that happens or not will be largely up to Golovkin, with the undefeated knockout artist already signalling he is prepared to take on the Mexican superstar in his 21st title defence. “I’m ready to fight him (Canelo). 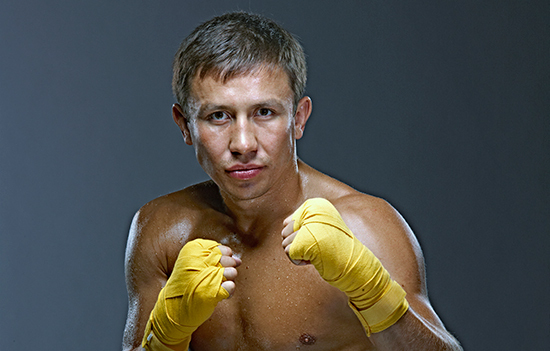 Of course, Canelo is my priority but I will fight anyone,” said Golovkin. The first fight between Golovkin and Alvarez ended in a draw last September that many people believe deserved to go to the reigning champion. A rematch is a multimillion dollar fight, a fact not lost on Loeffler.